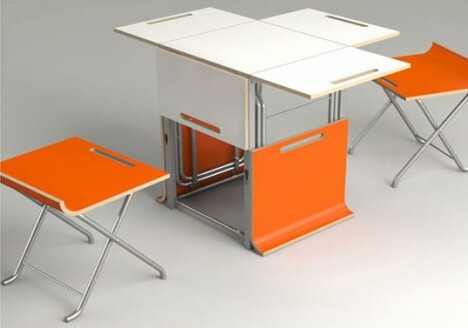 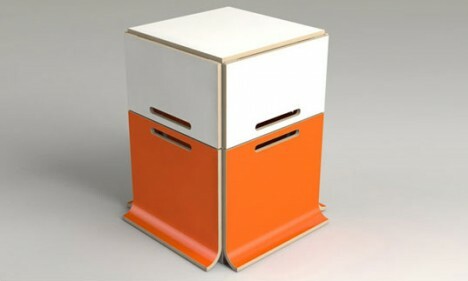 Multiple desk and seating surfaces pull out from a compact central tower with the ‘Offi Paket Table.’ This clever design can seat anywhere from one to four people and expand to a full-sized dining table, but take up very little space when it’s not needed. 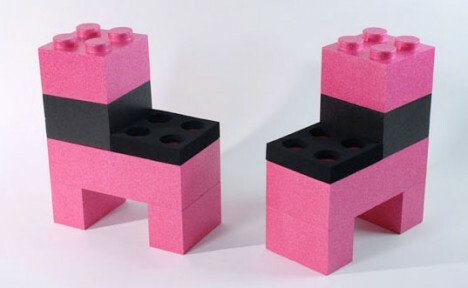 If you’ve ever wished LEGOs came in real human scale, you might steal these Lunasoft LunaBlocks for yourself despite their childlike sensibilities. 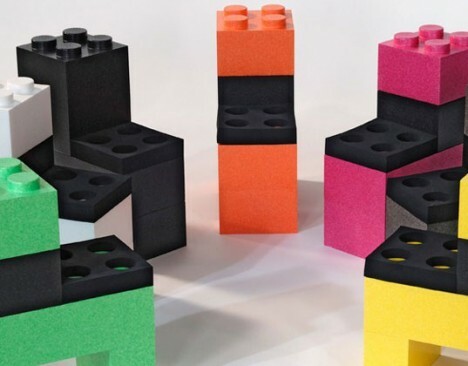 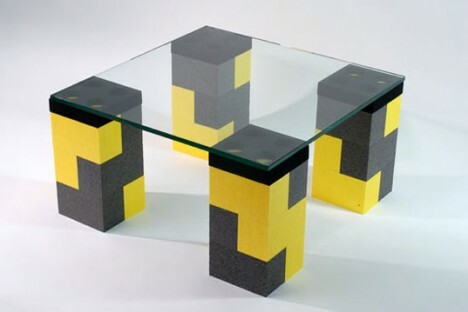 Made of expanded polypropylene, they’re made to be easily stackable just like the original toy bricks so you can create any number of custom furniture items. 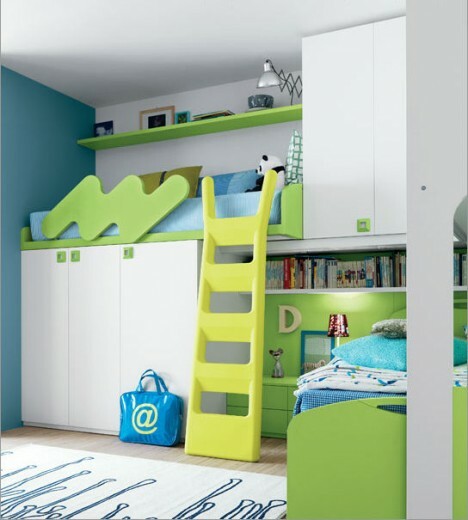 Italian furniture maker Battistella offers more modular elements that come together into fully customized kids and teen bedrooms with the Klou collection, available in a wide range of colors. 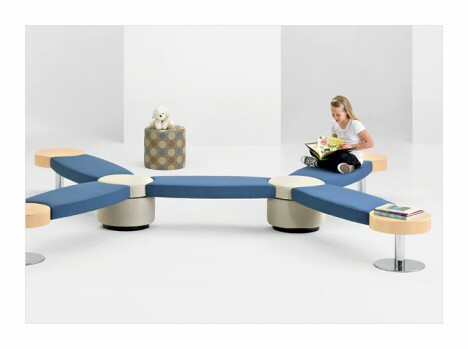 Choose whatever you need – daybeds, lofted beds, shelving, closets, desks and more – and configure it into something that fits just right. 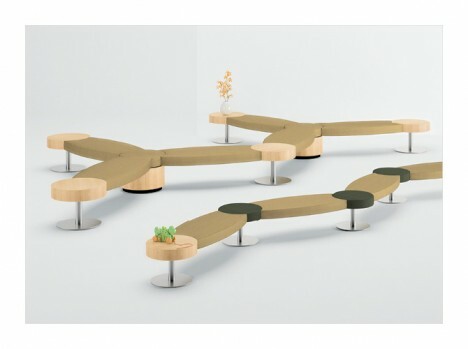 Designer Chris Panichella calls the Islands & Islettes modular bench collection “flowing ensembles of seated bliss.” Multiple connection points can bring together stretches of seating, the little stools tripling as tables and footrests.